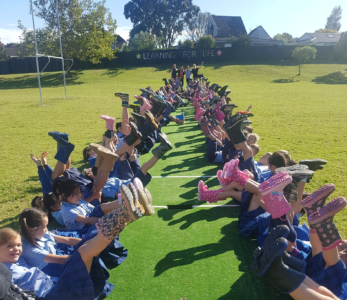 It was gumboots galore at Sunnyhills School on Friday. Students and staff participated in the nationwide ‘I am Hope’ – Gumboot Friday event for mental health. Gumboot Friday is a fun way for kiwis to join in the mental health conversation, while raising money to provide free and timely counselling for any kid in need. Justine Driver, Sunnyhills Principal, says the day was a huge success. “We were thrilled with the Sunnyhills community support raising $528.60 for this worthy cause,” she says.